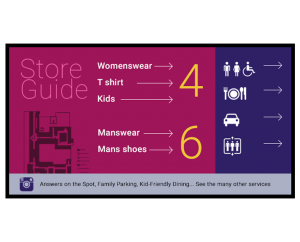 Depending on your signage goals, point guests with wayfinding to local business establishments such as coffee shops, gift shops, or other retail businesses. 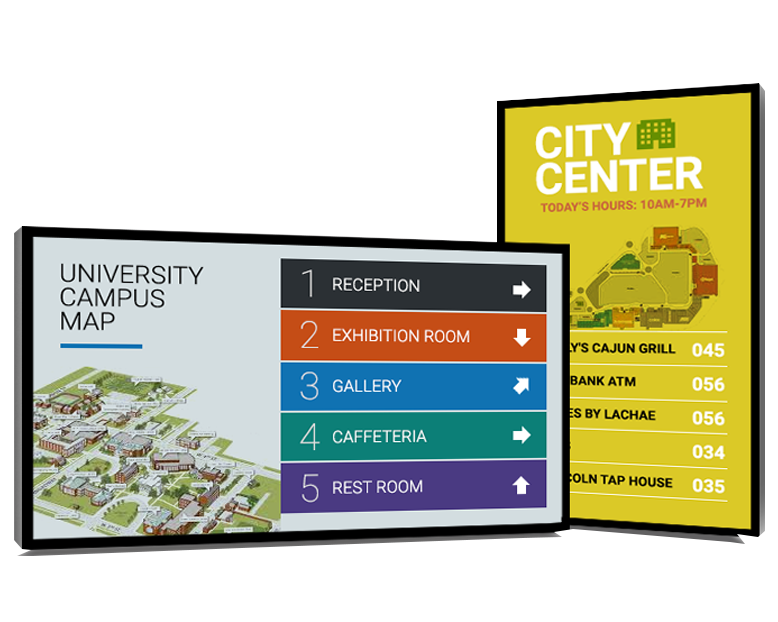 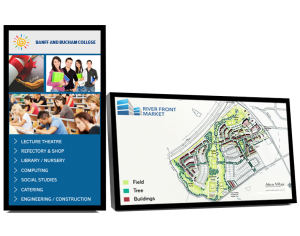 Increase visitor pickup if these businesses are connected to your building, or use your advanced display to boost revenue from local partners by directing guests to their destination while promoting nearby services. Help your guests find their destination by displaying not only location names but also current or upcoming scheduled events at those locations with starting and ending times.